The Little Black Book of VAs is a directory of Virtual Assistants for Virtual Assistants. With the Little Black Book of VAs, from the Virtual Assistant Directory, you can quickly find other VAs to work with. You can now create a free account and list the services you offer. As well as the contact details you want others to see, the social profiles you promote, the timezone you are in, the languages you speak, a personal bio, company details, as well as your associate status. To edit your LBB listing head over to your account page, where you can manage everything relating to your listings. Select ‘View Profile‘ then below your name you will see the button ‘Edit Profile’. Add the information you want listed and hit ‘Update Profile’. If you wish to keep information hidden from members you can tick ‘Hide from Little Black Book Members’. Remember your Little Black Book listing can only be viewed by other members. The Little Black Book is not a public directory. 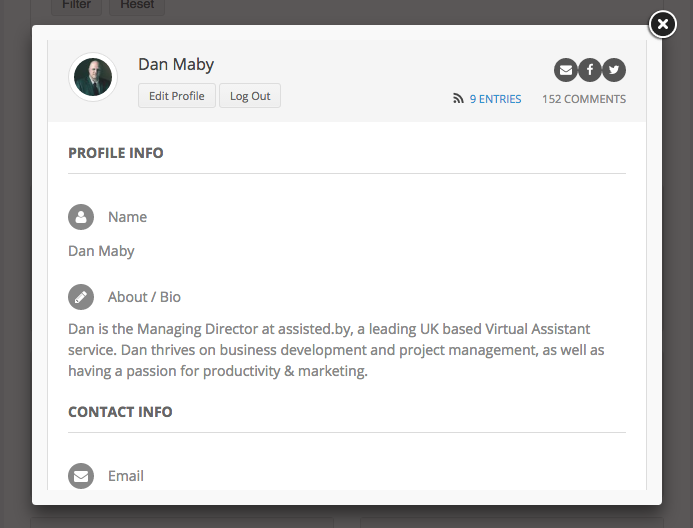 Only members can view the contact details of Virtual Assistants listed. If you are looking to advertise your services publicly for greater exposure of your business then select one of our VA Directory plans.